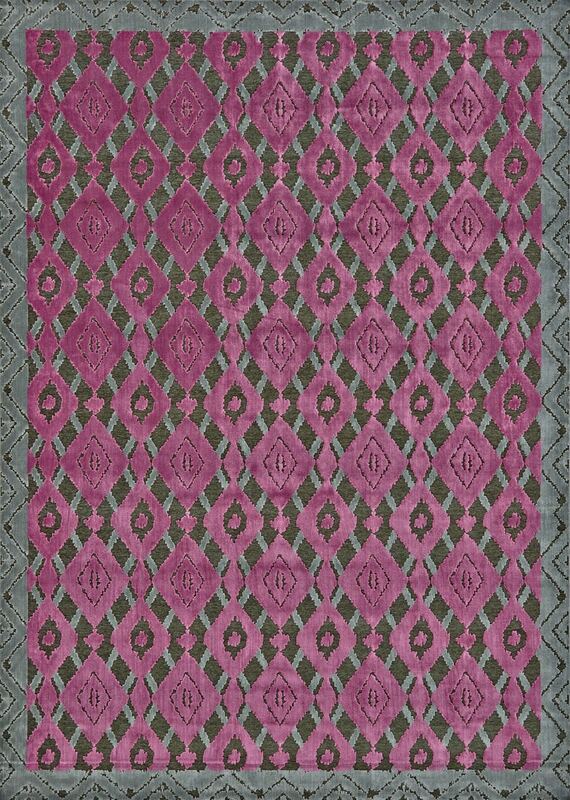 The Larache Collection features transitional and contemporary designs power loomed in saturated raspberry tones and cool hues of gray. The high-low designs are at once striking and comfortable and suited for settings that range from the super casual to the super chic. Power loomed in Turkey from art silk pile. These rugs feature a high sheen that creates textural interest and a lush foundation for any room. High-low pile provides added depth and weight to these rugs making them plush and soft.